First of all, yes, I know, I’m woefully behind on actual story updates on the blog, and I’ve left you all hanging on that last semi-cliffhanger for far too long. As I’ve hinted at elsewhere, I’ve had a convergence of real-life work and – ever so conveniently – a (minor but annoying) hand injury which has made it rather difficult to work on new comics for more than short periods at a time. And, of course, this happened just at a point when I’d committed the story to a string of comic installments that really need to stay in place. In the meantime, though, I wanted to touch on two other items, since – have you heard about this? – today marks the moment we’ve all been anticipating for quite a while: the release of the Siege of Orgrimmar raid, and the downfall of Garrosh Hellscream. Well, in-game, at least. Blog-Garrosh still has a ways to go before he bids us a fond farewell. That being, the timeline of the blog, and all the convoluted storylines swirling around it. Over the last year or so, a number of readers have given the Command Board plugs and shout-outs on various other blogs and forums – for which I always feel grateful and flattered – and on more than one occasion, their endorsements have included the recommendation that new readers go back and read the blog from the beginning, since it’s not exactly newcomer-friendly. That’s a fair criticism, even if it’s not really meant to be critical; while building up these ongoing storylines and running jokes/themes is one of the things I enjoy most about writing the blog, I also understand that it probably makes it difficult to jump in mid-stream. And while I’d certainly love for people to go back to read it all from the beginning (ARTIFICIALLY INFLATE MY PAGEVIEWS, BWAHA! ), at this point, well past the 300-post mark, I don’t think I can fairly expect every new arrival to commit to such a bear of an undertaking. And, with the release of Siege of Orgrimmar, I should probably brace myself for a few new folks to start finding their way here. (It’s already started on Twitter, by the way. Not to mention the beginning of what I’m sure will be a minor whirlwind of trash-talking tweets. Stay tuned; I may share some here soon.) While I try to link back to earlier posts when relevant, and hope that the About the Blog and Major Storylines pages help fill in a bit, I’m sure the blog can be a little confusing to a new reader for a number of reasons. So, to help any of you who just arrived – or not-so-new readers whom I’ve managed to confuse with some of my byzantine plotting – I’m going to be putting up a bit of a crib sheet in the next couple days to help account for where we are and how we got here. Hopefully, if you just found your way to the Command Board and are having a WTF response, that will help a bit. 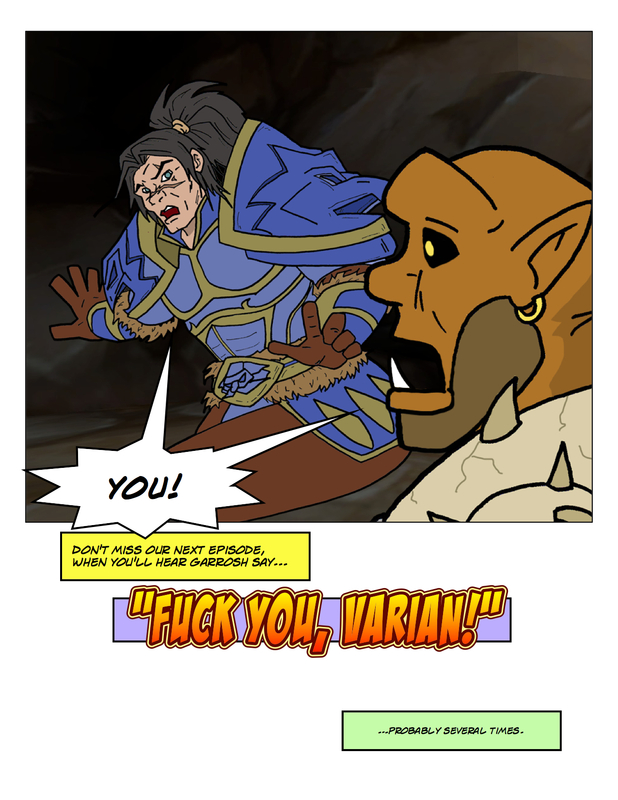 Raiding your Warchief. With your Warchief. Kind of. True story: Coming into MoP, I retired from raiding. I had raided pretty much all the way through TBC, Wrath, and Cata…and it just wasn’t fun anymore. This, by the way, was a reflection of my own shifting priorities and interests, not some tired, stale WoW-veteran gripe about Blizzard somehow doing me wrong. And I’ve absolutely loved MoP – in no small part, I think, because I’ve spent the entirety of it doing solely what I felt like doing, when I felt like doing it, having stepped away from the gear grind and raiding scene. Not a criticism of those who enjoy that scene, mind you; it’s just not where I am anymore. So, consider this an invitation. 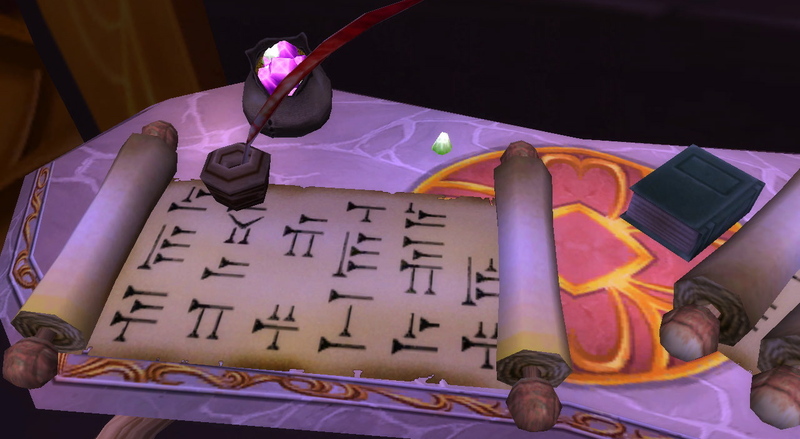 At some point in the next week or two, I’d like to try to assemble a group of readers, fellow bloggers, and all-around friends of the Command Board to stroll into Orgrimmar together and see what there is to see. 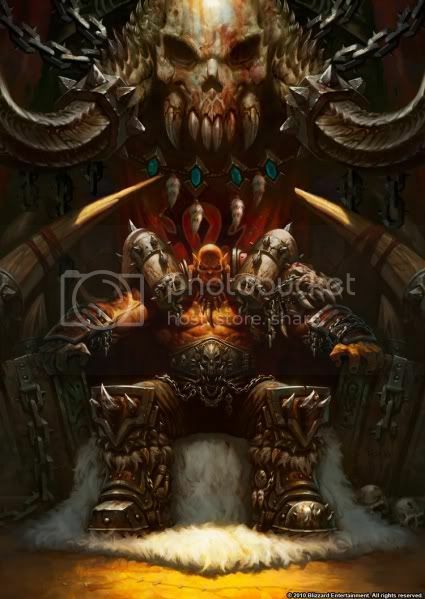 In a perfect world, if there are enough people interested and we can cover the necessary roles, we could use the new Flex setting; worst-case scenario, we could group up, hop into LFR, and take over the whole operation Garrosh-style. I definitely wouldn’t want to ask anyone to commit their normal-difficulty lockout – not least of all because I want this to be a purely for-kicks endeavor, not about progression or gear. Just good fun in good company, and if we happen to stumble into a ridiculous wipe or two on trash, I hope it would be a source of amusement, not angst. Thanks for wading through all my babble here. And thanks, as always, for reading and hanging in there with me. I hope to hear from many of you soon.